Students will be able to read and represent a time to the nearest quarter hour in both digital and analog forms. Tell students that today is going to be all about time! Call students to the carpet and put the hula hoop in the centre of the group circle. Tell students that they are going to make their own clock today. Ask students what parts they need to do this. Guide putting together the clock and call for volunteers to place the pieces while using questions like What needs go to on the face of the clock? What goes in the centre? 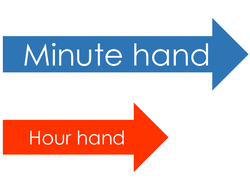 What is the difference between the two hands? How many minutes are in between each number? Once the clock is assembled, model showing times, first in digital form, and then on the clock. Ask for students to give you some example times. Tell students that they are going to focus on telling time to the quarter hour. Ask students how we could divide the clock into quarters. Use masking tape to mark the :00, :15, :30 and :45 minute points. Define Quarter after, 15 minutes past the hour, Quarter til, 15 minutes until the hour, and Half past, 30 minutes after the hour. Introduce and model how to play the Time to Roll game. Using both dice, roll the hour first. Write it on the board in digital form. Then using one dice, roll the first number in the minute spot. Add it to the board. Repeat for the last number. Show the time on the analog clock. Then ask your class how they can round this time to the nearest quarter hour. Ask your class if they think it would be better to round up to the next quarter hour or to the closest quarter hour. Allow students to explain their thinking. *Rounding up to the next quarter hour would most likely be best, since we do not want to be late. Separate the class into four groups: Team :00, Team :15, Team :30, and Team :45. Tell your teams that they need to designate one teammate for each round. Explain that each of these four students will have a specific role. Describe these possible roles to your teams. One student is the "roller", who rolls the dice, one is the "writer", who writes the time on the board in digital form, one is the "recorder", who records the time on the analog clock, and one is the "rounder", who rounds the time to the next quarter hour. Whichever quarter hour comes out of each round, that team gets a point. Play until each team or teammate gets a turn or until a team reaches 3 points. Distribute worksheets (let students choose one) and review directions with each group. As students finish, have them draw their own analog clock on the back of the worksheet. Enrichment:The Drawing the Time worksheet challenges students to draw the time on a clock with Roman Numbers as well as one without numbers on it at all. 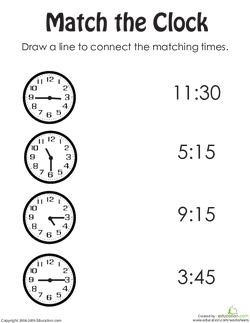 Support:The Match the Clock worksheet gives the struggling student options to choose from. 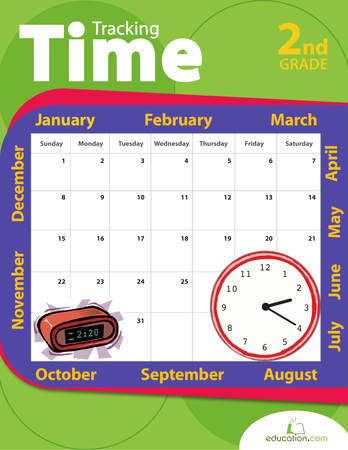 Give each student a digital time card to draw the time on the back of their worksheet. Collect worksheets as students finish. In student journals or on scratch paper, have students write the four "quarter" times they learned about today. Ask students to write one reason you might "round" the time to the next quarter hour instead of the closest. Get some great practise telling time to the hour by drawing in the time you see below each blank face. It's about time! 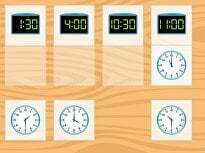 Assess your students’ understanding of time to the hour by having them read analog clocks. Let's practise keeping track of the time by writing the time shown on each clock. What's the time? 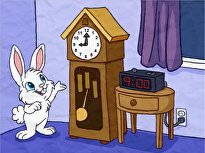 Challenge your child to figure out the time on these analog clocks. What time is it? 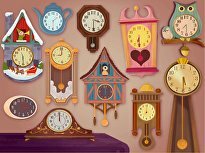 Time to check in on your first graders' clock reading skills! 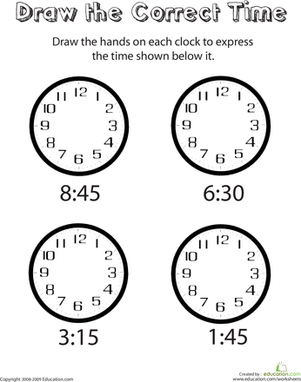 Use this activity to assess your students’ abilities to tell time to the half hour. 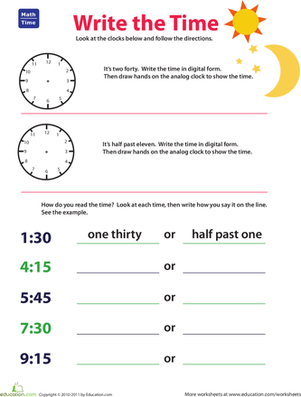 Looking for a worksheet to help your child with telling time? 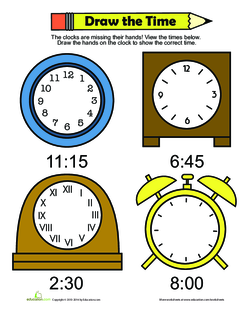 This printable worksheet will give your child practise reading a clock. Review analog time with your first grader with this handy worksheet. What time is it? Does your kid know? 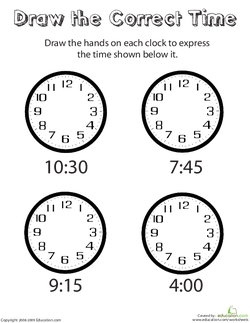 Make sure your child knows how to tell time precisely on a rotary clock with this worksheet. What time is it? Review time telling skills on the analog clock with this fill-in-the-bubbles quiz.